Love Letters: Is It Wrong to Want a Financially Stable Lover? We’re back for another round of love life lecturin’ from yours truly. In a recent Entertainment Tonight interview, Toni Braxton was asked what she’s looking for in a man. The first thing she stated was she was looking for a man that was financially stable enough to date. You know men went in on her because they said it sounded gold-diggerish. I think she was just being realistic. Help us solve this argument, Mr. Bowser! I’m guessing this is the clip the homie KJ is speaking on. Of course, they won’t get to the part in the video where Toni talked about being equally yoked, a concept we’ve discussed here before. Long story short, it’s the very important concept of daters being on equal ground — spiritually, emotionally and, yeah, financially. Yeah, some sisters use “the financially stable” excuse to mine for gold. But that doesn’t mean Toni or anyone else — man or woman — is out of line for wanting a mate on their level. Now I’m not saying that your dates need to present bank statements before arriving for dates. None of us are where we’d like to be financially, so everyone should be given room to grow. Just make sure that you’re both on the same page — and that goes beyond income tax statements and 401(k)s. In my oh-so-humble opinion, anyone who is working toward their goals is a worthy candidate to date. But anyone who is coasting by in life, regardless of what’s already in their bank account, isn’t someone you’d want in your circle. There’s nothing unreasonable about what Toni wants in her love life. Just don’t take her words out of context. Is it shallow for me to not want to deal with a 31-year-old man that’s still wearing cornrows? He’s a cool guy but I just feel like he’s too old to be wearing cornrows? Dude you’re 31 and no one wears them anymore. Sooooooo, y’all mad at a 31-year-old man with cornrows while your girl is still gluing those Lee Press-On numbers on 5 minutes before y’all hit the homecoming step show? Playa please, I JUST saw a girl about two weeks ago wearing what had to be a tribute to SWV. 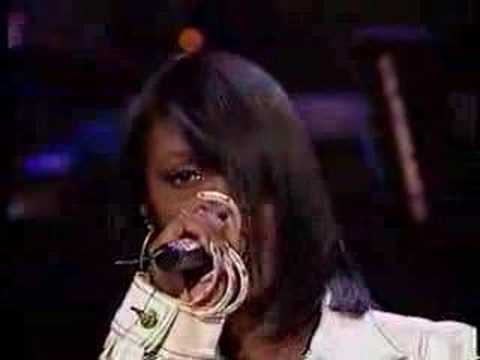 Coko had hands like a hermit crab. Look, playa, I get it. First impressions are everything and you don’t want to date someone stuck in another decade. Their fashion may be a reflection of a lack of maturity. But here’s the thing — you certainly won’t know for sure if you make snap judgments. You can’t determined someone’s personality, commitment or heart from a hairstyle. Never judge a book by its cornrows. You might be missing your blessin’. I’m new to reading these Love Letters and I enjoyed this one. I fully believe in being matched with a financially stable person. No one wants to feel like they’re the bank to the other person in the relationship.A person wants to give love, not a loan. Date someone on the same level, higher level, or at least shows they are working toward a secure financial future.Build a relationship and not a sponsorship.